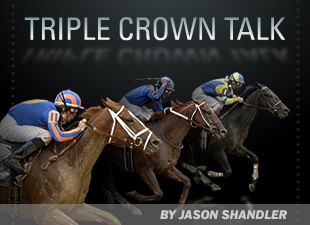 Triple Crown Talk is a blog dedicated to handicappers looking to chat about racing, especially those horses on the Kentucky Derby and Breeders' Cup trails. The goal is to share as much information as possible, in hopes of staying ahead of a game that constantly presents new challenges. Feel free to share your opinions with Jason, a Blood-Horse staff writer who is a native Philadelphian.